Last edited by cmr333; 01-22-2008 at 08:35 PM. 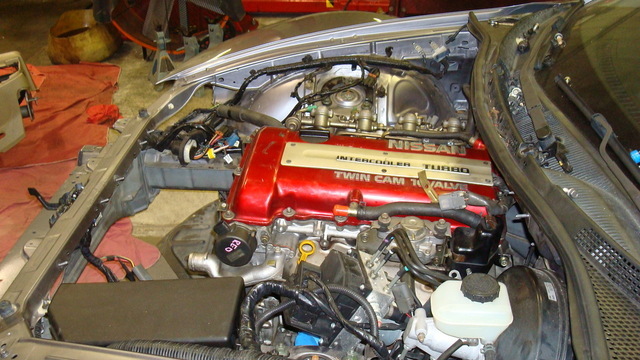 sounds interesting i had a sr20det in my nx2000 and that thing kicked bass. Would love to see the pics. Could pics. Keep us updated. Im sure as hell interested. at least it's a good motor. i have a buddy that did this swap but to an s13...and the stock turbo sounds cool. i've been a fan of this motor since forever. you better post some vids man. That's crazy! Good luck on the build. What's your goal, track, autox? Seriously, it looks very good. Good luck bro. sweet man. post a dyno slip once you're done. The SR is a hell of a powerplant. Good luck and keep us posted!! Being a long time SR fan, and been behind the wheel of quite a few SR powered cars, Im DEFINATELy interested!! i had this idea a while ago but i have no reason to replace my motor yet (knock on wood) gl with the swap! i had that in my s14 n it was fun as hell! Sweet. That is freakin' awesome... You know.. I'm really surprised that noone has any negative posts. Good luck man, and please keep us posted. hey good luck man, I think this is an awesome Idea, I used to have an S13 w/ a CA18det in it, I loved that motor and just recently sold it, I had thoughts of throwing it in the 8 but never had the time or the money to pull it off, deff wana see this get up and running!!!! As am I. I wouldn't do this swap, but it's your car and it looks like it's coming around and you've got a plan...definitely let us know how it goes. Yeah, this looks interesting. 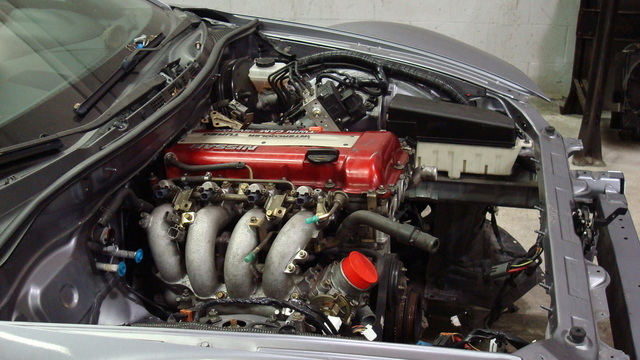 That pic looks weird - a piston motor under an RX-8 hood! I've seen people talk about it, but this is the first one I've actually seen (there is a guy in the Chicago area that has a LS-1 in his FD, but I haven't seen it done with an 8). Will be curious to know how it affects the balance of the car. Looks like it doesn't extend too far ahead of the front axle. What is the weight of this motor vs the renesis? So what are you going to call your Frankenstein monster? It's not really an RX anymore. Maybe a MX-8? Piston eXperiment 8 - PX-8!